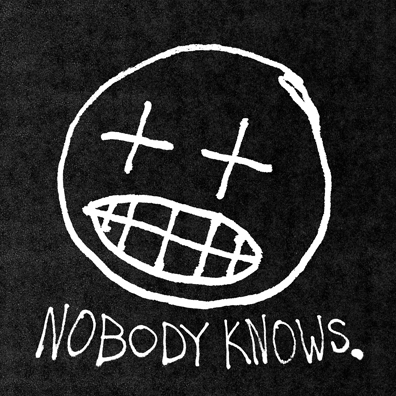 Nobody Knows is probably the album Willis Earl Beal knew he had always wanted to make. And for those who heard his debut release, 2012's Acousmatic Sorcery, and pegged him solely as an outsider artist, it's probably not the one you expected. Beal's early notice came strictly by chance when he came to the attention of Found Magazine who came into possession of a hand-drawn flyer distributed by Beal in Albuquerque detailing his interest in finding a girlfriend. He had already been recording himself and leaving CD-Rs around town, and the Found exposure eventually led to a record deal. For an industry so intent on neat categorization, Beal's artistic flowering on display here demands serious consideration beyond that of a fringe figure with an unconventional back story. The opener, "Wavering Lines," provides one of the best examples of Beal's vocal chops, and having his voice unadorned for nearly the first two minutes is an inspired move that reveals how Beal could be equally convincing singing folk, blues, or soul. Here, in roughly four minutes, he manages to blur the edges of those genres until their common thread surfaces. Beal's voice finds unique musical framing with each song, all fairly subtle and always keeping the singer well at the fore. The clap-and-stomp of "Too Dry To Cry" resembles a platform suitable for Tom Waits, though when Beal's frustrations break the surface with "I got nine hard inches like a pitchfork prong/So honey, lift up your dress and help me sing this song" it's easy to sideline comparisons. The soul-pop swing of "Coming Through" follows Beal's easygoing lead like a billowing cape, while bells and electronic buzz stoke the angry lyrics spat in "What's the Deal."